Centrally located at the corner of 9th Street and Highway 3. 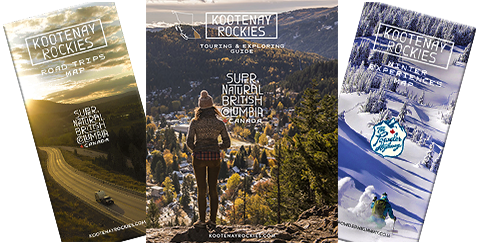 Powder Mountain Lodge is close to several pubs, bars, restaurants and downtown Fernie. With friendly service, clean rooms and unbeatable value, it provides business and leisure travellers with a dependable and fresh stay in Fernie. A stay in this lodge means one thing above all - a welcoming restful stay. With 6 room types starting with standard rooms to 16 kitchenette apartments, this lodge can accommodate nightly or long term guests. Indoor hot tub and games area and seasonal outdoor pool will keep you healthy and fit. Book direct and save. Powder Mountain Lodge offers special rates for weekly or monthly stays for workers or visitors. Book a kitchenette suite or apartment for long term stays. Call them to book direct and save 5-15%. Groups of all sorts are welcomed. Book direct and call for special rates for sports teams. They enjoy hosting sports team and offer a savings of up to 15%. Kitchenette suites & apartments available.